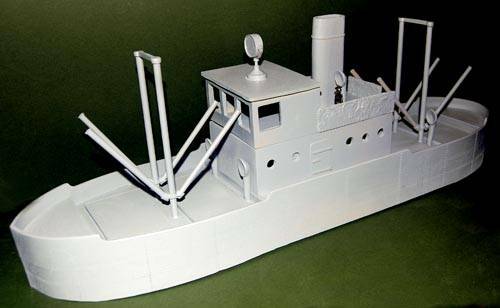 25/28mm scale - This large resin cast ship is approximately 24" long by 6" wide. It comes with lift off cabin roofs, dowels, and metal cast pieces including the search light. It is ideal for gaming the Colonial era, Victorian Sci-Fi, and pulp gaming. Ship is supplie unpainted. Metal parts contain lead and are not suitable for children.